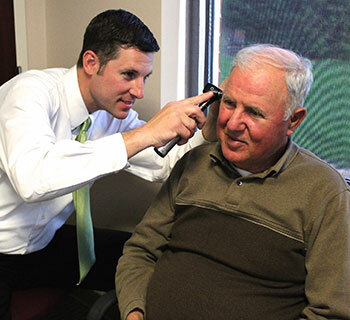 A hearing exam will help determine the nature of your hearing loss. In most cases your hearing healthcare professional can determine the nature or your hearing loss and quite closely pinpoint what caused it. Hearing loss can be either conductive or sensorineural, or both. 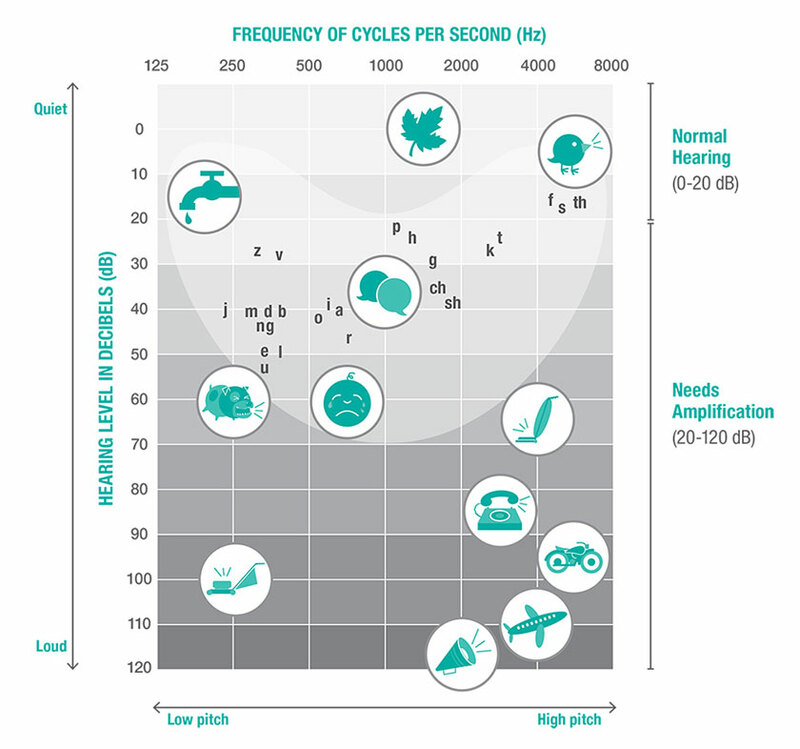 Sensorineural hearing loss is by far the most common hearing loss. The condition refers to problems in the cochlea or auditory nerve. Most are due to deterioration of the tiny hair cells that line the cochlea and transmit sound to the auditory nerve and then the brain. This accounts for 90% of permanent hearing loss. Sensorineural hearing loss can't be corrected medically, but can usually be improved through the use of hearing instruments. This condition is caused by any obstruction that prevents sound waves from reaching the inner ear. some of the causes of conductive hearing loss include; accumulation of earwax, a collection of fluid in the middle ear, abnormal bone growth in the middle ear, perforation of the eardrum. Most conductive losses can be treated medically, but there are times when hearing instruments are needed. Speech Banana - the banana shape in the diagram below reflects speech sounds - sounds outside the banana are outside the speech range and include artificial sounds such as music or machinery or natural sounds such as birds chirping.